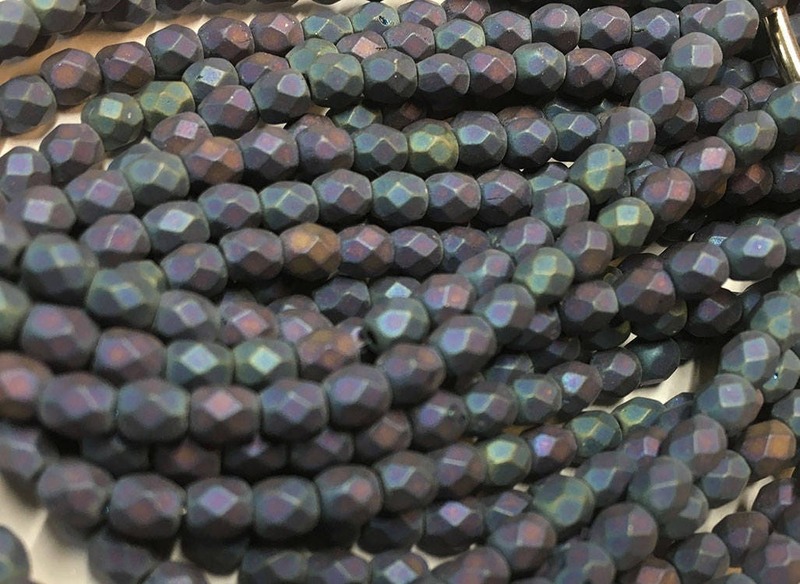 Matte blue iris Preciosa Czech firepolish crystal beads measuring 4mm. Add some sparkle to your jewelry creations! Great seller, great products. Would definitely buy again.